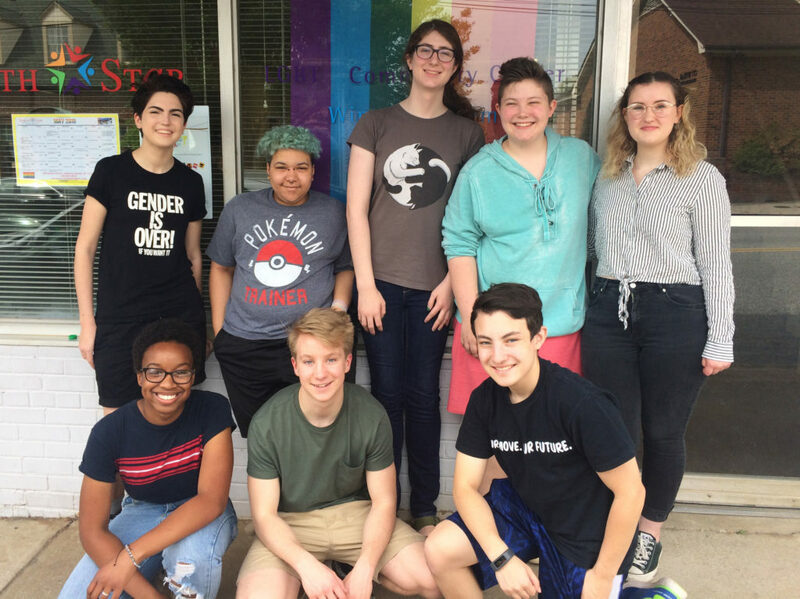 North Star’s Youth Programs seek to create a safe space for LGBTQ youth to get connected and empowered! Our purpose is to build a strong queer youth community through social and leadership groups, educational opportunities, health & wellness resources, and community events. If you’re a youth or parent who’d like to receive email updates about our Youth Programs, contact us and ask to be on our list. If you’d like to receive our quarterly e-newsletter for educators, sign up here and make sure to check “Youth”. For information about our scholarships, please see our Scholarships page. Youth Leadership Council (YLC)- Monthly meetings, typically the first Saturday at the month from 3 to 5pm (check our calendar). Open to middle and high school students from Forsyth and the surrounding counties. This group holds discussions, works on ongoing projects, and plans Alt Prom and other community events. It also serves as a connection point for the high school GSA groups. Youth Socials – Typically occur the third Saturday of the month from 3 to 5pm (check our calendar); open to middle and high school students. We usually have snacks and play games or do other activities. Youth Drop-In – Typically the second Friday of the month from 6:30 to 8:30pm (check our calendar); open to youth ages 14 to 20. Drop in and hang out! Youth Support Group – Typically each second and fourth Saturday, 11am-12pm (check our calendar). This support group is for LGBTQ youth age 12 to 20, facilitated by a licensed therapist. Whether you’re facing coming out, bullying at school, figuring out your identity, or teachers/ parents/ friends who aren’t supportive, this is a space to talk about it, find community, and learn tools for dealing with it. Alternative Prom – Winston-Salem’s safe and supporting prom, organized by North Star’s high school YLC, with additional support from many community partners. Open to high school students in grades 9-12. Stay tuned – 2019 will be Alt Prom’s thirteenth year, and it’ll be bigger and better than ever! Middle School Social – a youth social for middle school students, their allies, and families. NEW DATE. This year’s Social will be held at Camel City BBQ and has been postponed; please check back soon for the new date. Queer Education Workshops – Workshops would be fun, educational and free! We would provide workshops to student groups, high schools, and youth-serving organizations. Our workshops would aim to build bridges, challenge stereotypes, address violence, and discuss issues facing the LGBTQ youth community. Youth Program Interns – To gain fabulous job skills, become a Youth Program Intern when we get it started. If you are interested in participating in LGBTQ youth programs in our community (current or future possibilities), please contact us at info@northstarlgbtcc.com.